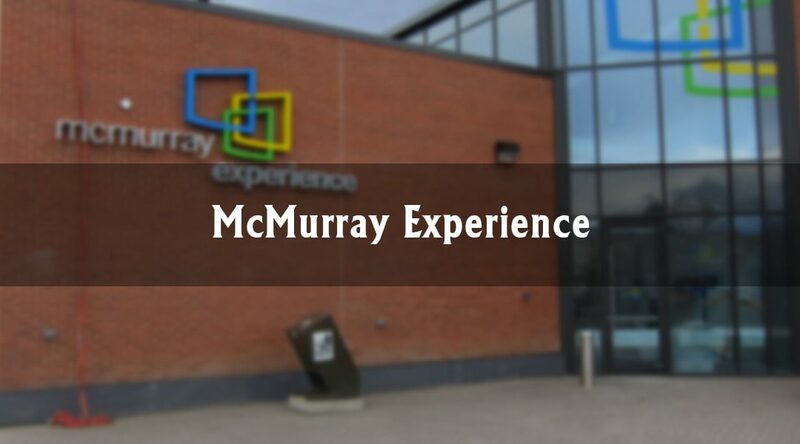 McMurray Experience is an interactive space located in Fort McMurray downtown’s core to highlight the communities found within the Regional Municipality of Wood Buffalo (RMWB). Inside McMurray Experience, the digital components feature an HD theatre screen, a digital table for moveable presentations, a screen showcasing social media updates, a free photo booth with printable photos and a fully functional stereo and an audio-visual system and much more. The facility’s vision further included plans to capture the Region’s culture and has been demonstrating this through the Art in Motion program. This space is dedicated solely to exhibit locals’ collections, and curation takes place monthly with themed submission calls. Submission criteria is listed on the RMWB’s website. The three-million-dollar facility opened its doors in July 2015 just in time for visitors from the 2015 Western Canada Summer Games (WCSG) to explore. ﻿ It has since been the hub for various local events and some of the RMWB’s biggest community announcements like when representatives from Alberta Sport Connection came to announce the RMWB won the bid for the 2018 Alberta Winter Games. It also regularly hosts information sessions for the ‘Here For You’ public engagement program which was initiated to help residents with the region’s recovery efforts from the 2016 wildfire. A representative from the RMWB shared with the Fort McMurray Today how the free service aims to provide access to local groups. Operating hours for the McMurray Experience are available Tuesday to Friday from 12 p.m. to 8 p.m. and on Saturday from 10 a.m. to 6 p.m. The facility is closed on Sunday and Monday. To learn more about bookings, call 780-742-3160 or drop by at 9909 Franklin Avenue.